It’s REALLY hard to organize a home when you don’t know where to start. 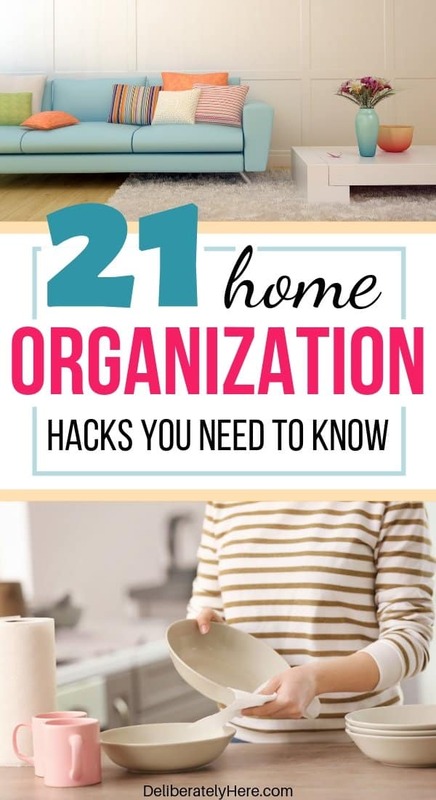 …habits that will help you turn your sloppy house into something you’re proud of, with barely any effort (I’m all about keeping things as easy as possible… so you can bet these habits of keeping an organized home are easy). ✅ This specific organizing method is the number one choice for QUICK home organization. 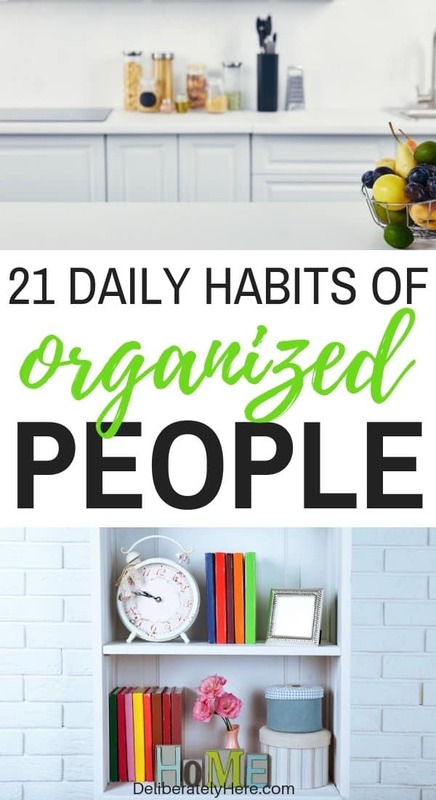 In today’s post I’m going to show you EXACTLY what these habits of extremely organized people are, and how you can implement them in your daily routine without setting too much time apart each day for organizing. Want to skip all this and head straight to the points? Click here. Do you find yourself wondering how it’s even possible for some people to keep their homes flawlessly organized with 4+ kids running around, when it feels like you can’t even make it through an afternoon with a mostly-tidy home? Keeping a home out of the clutter zone and in an organized state can be a LOT of work. Not only is it a lot of work, but it can also require a large amount of time. But, what if you’re someone who doesn’t have a lot of time to spare during the day? What then? What’s the big secret to keeping your home organized? 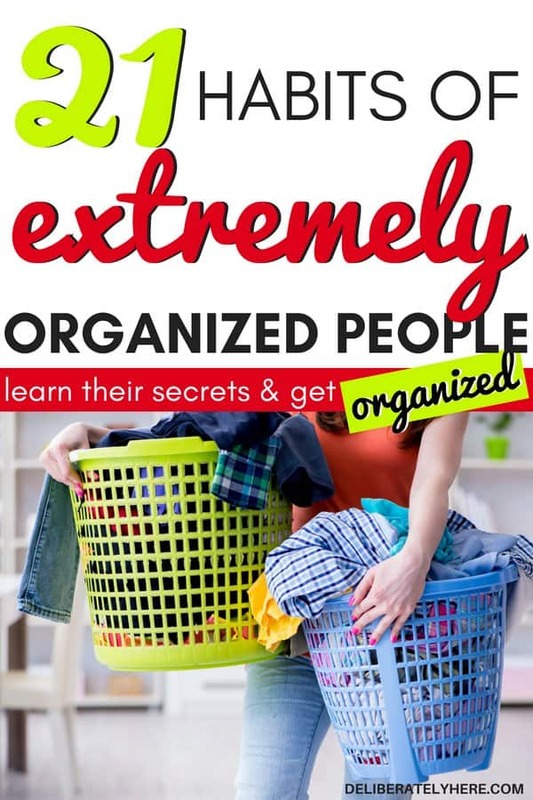 The secret habits of extremely organized people aren’t such a big secret after all. You might think they spend all day reading books like these (those books DO help… you can check them out here if you need some extra organizing help) and widening their knowledge on organization, but in reality, many of these organized people are too busy to have time to think about doing stuff like that. 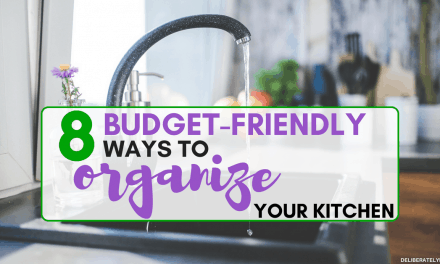 You may have been under the impression that just because someone has an organized home, they have ALL the time in the world… and they spend all that time organizing their homes. 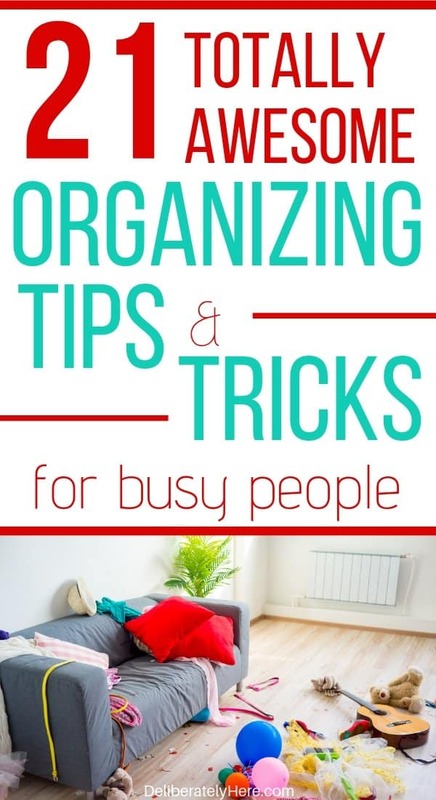 That’s not the case – organized people are often busy people who DON’T have time to spend all day tending to their homes. And that’s where these organizing habits come into play. 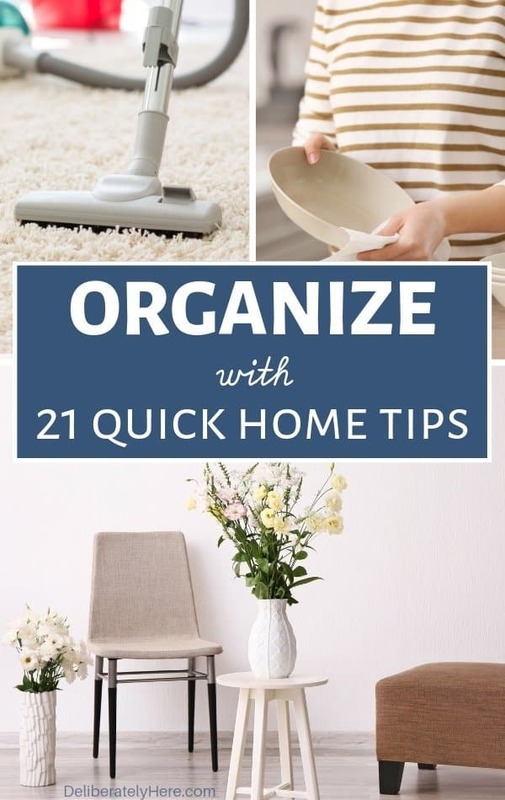 The things organized people do are nothing more than several different organizing and cleaning tasks that can be quickly completed throughout the day to eliminate an overwhelmingly unorganized home at the end of the week. The key here is to complete organizing these tasks throughout your day. 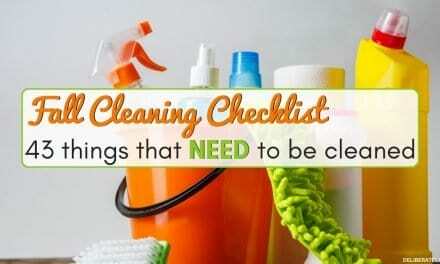 Since you’re busy, you don’t have time to set apart in your day to focus on cleaning. So, instead of doing that, make cleaning and organizing a part of the things you do every day. I’ll show you how you can do that below. What if you’re an unorganized person? What if you naturally DON’T have an organized personality? What if you don’t know HOW to be organized? Don’t worry – organized people are rarely born organized. Organized people are organized because they choose to be. Organization isn’t something that is born – it is something that is created. IF your house is too cluttered to organize you’re probably wondering how it’s even possible to organize a cluttered house. The first step is learning how to declutter your house. You need to FIRST declutter your house, THEN you can work on organizing it. 🗸 This is the #1 decluttering method that I recommend to get you started. Now that you’ve learned how to get rid of the clutter in your house (whether you found some things to get rid of, or you learned some declutter tips for a hoarder) it’s time to start ORGANIZING. Do you feel ready to jump in and learn how to be organized? Let’s get to it! 5 day declutter challenge. Use this free printable declutter challenge to keep you accountable while you organize your home. Free 5 Word Organization Challenge. Meal planners to organize your mealtimes. 30 Day Home Management Boot Camp. – it’s FREE and it’s AWESOME! When you think of organizing – at least when I did – I always used to think that the first thing I needed to do was go out and buy a bunch of organizing containers (I mean, look how cute they are!) before I started organizing. It turns out buying a bunch of organizing containers is a bigger mistake than I realized. One of the many characteristics of an organized person is that they organize first, THEN go out and buy any organizing containers that they need. The reason why they do it in this order is because it’s all too easy to look at the amount of stuff you have laying around your home and think you need at least 10 different organization containers and baskets to hold all this stuff, but really, when you organize all the stuff in your house you are going to be getting rid of a bunch of it anyway – so you won’t end up needing 10 baskets. You may not even need 5. Remember this important step to organizing: you DON’T need to have baskets and containers prepared to put your stuff in before you organize. First organize, then go out and buy the baskets and containers you need, (like these) if any. When you buy baskets and organizing containers before you organize the stuff in your house, what ends up happening is you end up with far more baskets than you need, and not enough places to put them. If this happens, your house can start to look even less organized than it was before. Like this post? Click here to Pin it! Cleaning up as you go throughout your day is a really effective way to eliminate being overwhelmed by a messy house at the end of the day. But it does require some planning ahead. One thing I’ve found SUPER helpful is to keep one of these in the two main areas of our home (the living room and entryway), then at the end of the day, I simply put everything out of the basket back in its proper place. This is the kind I recommend (it looks nice and gets the job done). By the end of the day, you’re already tired enough from chasing kids around all day and being a homemaker. You don’t need the added stress of a messy house on top of that. Instead, create the habit of cleaning up after yourself as you go throughout your day. You can do this by: Anytime you take a book off the shelf to read, put it away as soon as you’re done. If you are eating in the living room (or anywhere), bring the dishes back to the kitchen and load them straight into the dishwasher when you’re finished. Clean up whatever you’re using/doing/reading as soon as you’re done with it. If your kids are playing with blocks and decide to move on to playing with something else, have them clean up and put away the blocks before taking more toys out. Cleaning up as you go through your day doesn’t require much extra time at all and is an extremely effective habit to acquire. It may take you a few days or weeks to get the hang of, but as long as you’re persistent with it and determined it will end up taking a significant chunk of tidying up time out of your evenings. You will be so thankful you started doing this when you did. Some people say you should make your bed as soon as you get up in the morning, while other people claim it’s better to keep your bed unmade. My opinion on the matter is this – a bed that is made helps the entire room look neater, and when one part of our house looks neat and tidy I have more motivation in my day to keep the rest of the house clean. I don’t know about you, but when I walk into our bedroom in the middle of the day and see a messy unmade bed, it just sets some kind of “blah” mood in me. It doesn’t make me want to keep the rest of our house tidy at all. But when I walk into our room to see a neatly made bed, it helps me stay motivated to keep the rest of our house tidy and pick up after myself. I don’t know where YOU stand when it comes to this – but I believe that making your bed first thing in the morning is something that should become a part of our daily routine. Give yourself two extra minutes in your morning routine to make your bed as soon as you get out of it, then you don’t have to worry about it for the rest of the day. You can help your children create the same habit and have them start making their bed every morning as well, this will help teach them responsibility from a young age. Your to-do list doesn’t have to be anything fancy. It could be a scrap piece of paper that you found laying around your house. Or you can use something like this to help keep yourself on track throughout the day. I find creating a to-do list helps me stay on track throughout my day. If I rely on remembering things that need to get done writing them down, chances are they aren’t going to get done today. Or tomorrow. Or the next day. EVEN if you aren’t a person who loves to use lists, I highly recommend you adopt this habit and try it out for a couple weeks (it might not be the right fit for you, and that’s okay – but you should give it a try for a couple weeks before completely writing it off). While creating a to-do list is extremely important, following your list is even more important. Your to-do list isn’t going to do you any good if it’s just sitting there. Depending on the amount of stuff you have on your to-do list, try to get as much of it done as early on in the day as possible. MOST PEOPLE are more productive earlier in the day than later in the day, which is why it’s important to try and cross as many things as possible off of your to-do list earlier in the day. One of the biggest advantages of using a to-do list is that it helps you stay focused. I still occasionally forget to create a list some days now, and when I do, those are the days when I am the least productive and just mostly meander throughout my day without doing much of anything. Using a to-do list helps you get tasks done faster than if you’re just relying on yourself to remember everything that needs to get done in your day. Using lists is one of the best ways that you can learn how to be organized. Another one of the many habits of extremely organized people is creating and following a routine. 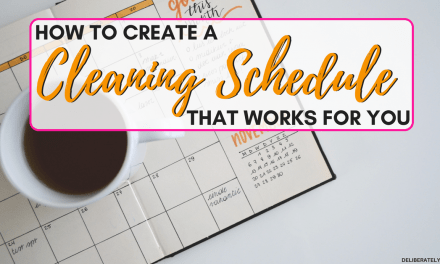 Whether that be a morning routine that you create to help you start your day off on a productive note, or if that’s a house cleaning routine you do once a week, or small a daily home organizing tasks routine that you use. Everyone’s routines will look different, and that’s fine. Creating a routine that works for YOU – not someone else – is just a part of keeping yourself and your home organized. If you’re aiming for perfection in your home and you won’t settle for anything less, you’re in trouble. The truth is, your house is never going to look perfect and it’s never going to be truly spotless. This is especially true if you have a house full of kids. You need to realize that your home is never going to be perfect. It’s probably never going to look like it dropped right out of a magazine, either. And you need to be okay with that. Rather than making perfection your goal, make tidiness what you’re aiming for. It’s also important to remember that what is tidy to one person might not meet another person’s definition of the word, and that’s OKAY. Keep your house tidy and organized to you and your family’s standards, not other people’s. You are the ones that are living in this house, after all. Goals are an important part of achieving just about anything in life. When you want something – you create a goal, and then you make a plan on how you’re going to achieve that goal. Whether you’re working on organizing your home or bettering your finances by creating a budget, goals are what are going to help you get there and keep you on track. Go ahead and create some realistic home organization goals to keep yourself motivated and give you something to work towards. Take a moment to picture what you would like your house to look like. How far off is it from where your home is now? Write your goal down then get to working towards that goal by using the home organization tips you’ve already learned, and the ones to follow. Are you storing the things in your house in good spots? Or, are you storing your toilet paper across the house from where the bathroom is and your kitchen cleaners in the basement? When you store items in different areas than where they get used, you’re much more likely to leave these items laying somewhere out in the open where they don’t belong, than if you find somewhere to store them that is close to where you use them. If you find yourself constantly dragging stuff halfway across the house anytime you need to use it, it’s a whole lot easier to make room somewhere closer to where the stuff gets used. You might find you leave things laying around your house a lot. If you do do this it could be because it’s more work to put them away than it is to leave them on the floor. Make it easier on yourself to put these things away (by finding somewhere to store them CLOSE to where you use them) than it is to leave them laying around. If you’re going to be able to put stuff away where it belongs, you need to find a place for it to live. It’s better to have less stuff than to have a house that is completely cluttered and unorganized as a result of having too much stuff for your space. Go through your entire house over the course of a few months and find a place for everything. If you can’t find somewhere for a certain object, it might be time to say goodbye to it. You don’t need it in your house doing nothing but taking up space and creating an unorganized atmosphere. Purging your house (it sounds scary, but it’s not) regularly is an important thing that MANY organized people find themselves doing. All you have to do to purge your house is walk through each room of your house with two bins in hand. One bin is for stuff that you’re going to throw away (broken, ripped, or terribly stained items that aren’t worth donating), and the other bin is for stuff that you are going to donate (stuff that you no longer want or need, but are still in good shape). These are the bins I find work really well for this. The first house purge you do will take you a bit of time – but once you have that one out of the way, if you keep up with it and purge your house on a weekly or monthly basis, it should take you no longer than 10 – 20 minutes each time you do it. You can do this by making your organizing sessions times when you relax and unwind. Don’t set high expectations or limit yourself to such a short amount of time that you become stressed out. If you’re including your kids in the home organization process, you could make it fun for them by setting a timer (this is the one I recommend) and challenging your kids to get a certain area of the house cleaned up before the timer dings. You can have a reward waiting for them if they can pass this challenge. So go ahead, grab your panda and get to work! You don’t need to have the newest and greatest gadgets to be happy. Rather than always buying more, focus on buying less and being happy with what you have. If you don’t have something you need, try to find a way around going out and buying it. Find creative ways to make the things that you already have work, rather than caving to the temptation of needing to have everything. There is probably no reason for you to have several different sets of steak knives sitting around your house, and you probably don’t need that spare coffee maker in your storage room, either. Keeping duplicates is handy in the sense that if something you have breaks you can quickly (and cheaply) replace it, but if you keep duplicates for everything in your house just in case something breaks, you won’t have any room to live. Getting rid of duplicates will help you free up space so you have room to spread out and organize the stuff that you really do need in your house. This one is just like the earlier daily habits of organized people that I mentioned where they clean up after themselves throughout the day. It’s important enough that it warrants being mentioned twice. Don’t let your dishes pile up throughout the day. I get that your days are busy, but keeping all your dishes on the counter (or scattered around the house) until the end of the day will only cause you to have to spend more time in the evenings scrubbing dishes. Nevermind the food particles that have leeched themselves to the dishes and refuse to be scrubbed if you let them sit for too long. Just like creating an organizing routine for your days, another good one on the list of habits of extremely organized people is dedicating 10 minutes each evening to cleaning and tidying up your house. You can get your kids involved in this task, too. If you have been cleaning up throughout the day doing a quick cleanup of your entire house in the evening shouldn’t take more than 10 minutes, and might even take as little as 5 minutes. If you use these baskets in the main clutter-areas of your home, you can collect out-of-place items throughout the day and quickly clean them up in the evening by walking around the house with the basket in hand and putting the items back where they belong. Click here to see which ones work (and look) the best. During the 10-minute evening tidy-up all you have to do is tidy up a few simple things (there’s not a lot to do since you’ve been tidying up throughout your day). Pick up any toys and blankets that are laying around and quickly sweep the kitchen floor so you are ready to start tomorrow off with a clean house. If there is a big area of your house that needs to be organized, rather than letting it overwhelm you, you can attack it in bite-sized pieces, for short periods of time. Using the timer method is one of the most effective organizing, decluttering, and cleaning methods out there. Simply set a timer for 5 – 20 minutes (keep it short), set aside all distractions, and organize. Once the timer goes off, pat yourself on the back and take a break. If you are feeling ambitious, you could set another short timer sometime later in the day to tackle a bit more of the organizing that needs to be done, but don’t overdo it. The idea of using the timer method is to help you completely focus on the ONE task you are doing – not letting yourself do anything else until the time is up. Focusing on a single task at a time, rather than trying to multitask and do allthethings will help you be much more effective and efficient with your organizing (because we really never can do all the things, can we?). Many people believe that when they multitask they are saving themselves so much time, but what they don’t realize is that organizing a room, writing a grocery list, writing a to-do list, checking emails, and dusting really isn’t as efficient as doing one task all the way through to completion, then moving on to the next, then the next, then the next. When you try and do 10 things at one time you end up wasting so much time switching from one task to another that in the end you could have had all the different tasks completed in a fraction of the time if you had done them individually. Rather than procrastinating with getting stuff done, create your to-do list and start making yourself work your way through the list as early in the day as possible to eliminate procrastination. We’ve all experienced those random things that pop up in the middle of the day and require our attention. If we leave our to-do list to the end of the day and something comes up that takes away the time we thought we had to complete our to-do list, the tasks simply won’t get done. Instead, get everything you need to get done for that day done as early as possible so that if something unexpected comes up, you won’t have to worry about pushing today’s tasks onto tomorrow and tomorrow’s onto the next day. It’s time to stop procrastinating and start completing your tasks as early as possible. A very smart habit of organized people is the way they organize vertically, rather than horizontally. When we organize our homes horizontally, we run out of space quite quickly and our homes start to look quite cluttered. What we’re forgetting is that there is a whole world of organization potential right out of our reach. (Thankfully, with the help of a stool, we can reach it). Vertical organization is a smart solution to a cluttered home – rather than organizing things horizontally around your home, start using the vertical space you have (alllll the way up the walls). Rather than sitting your plants on windowsills and coffee tables, grab a hanging plant holder to keep your plants off of your surfaces. Invest in hanging spice racks rather than having your spices sit on your countertops. There are countless ways to organize vertically instead of horizontally. 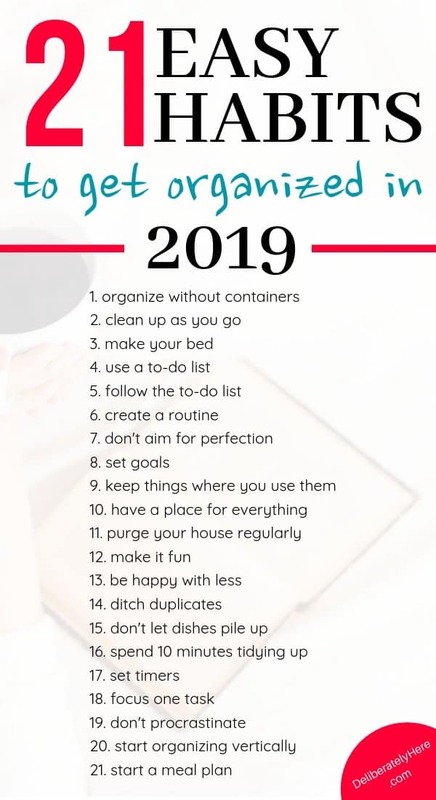 When you become creative with your organizing efforts and find new ways to organize the things in your house you will be pleasantly surprised by how much space is freed up. In most homes, dinnertime is quite often a time of complete chaos. Your kids are hungry and want to know what’s for dinner. You’re probably feeling stressed out because you don’t know what to make, and everyone’s getting grumpy because they’re hungry. You can easily and quickly start a meal plan by using these strategies here. Using these strategies is how I save hours of time planning meals each week, have lowered our grocery bill from $1,000 a month to $300 a month, and have completely gotten rid of the stress that the question “what’s for dinner?” poses. If you want this too, you can learn how to do it here. 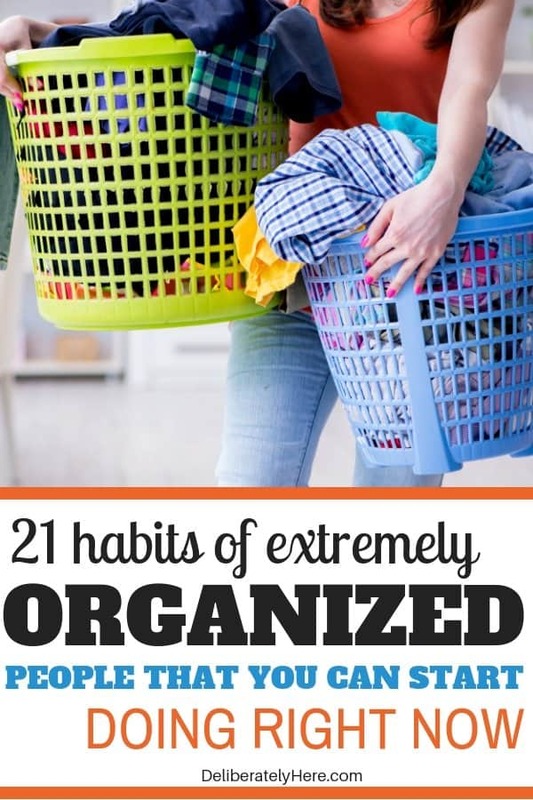 Are you an everyday organizer, or do you struggle with home organization? 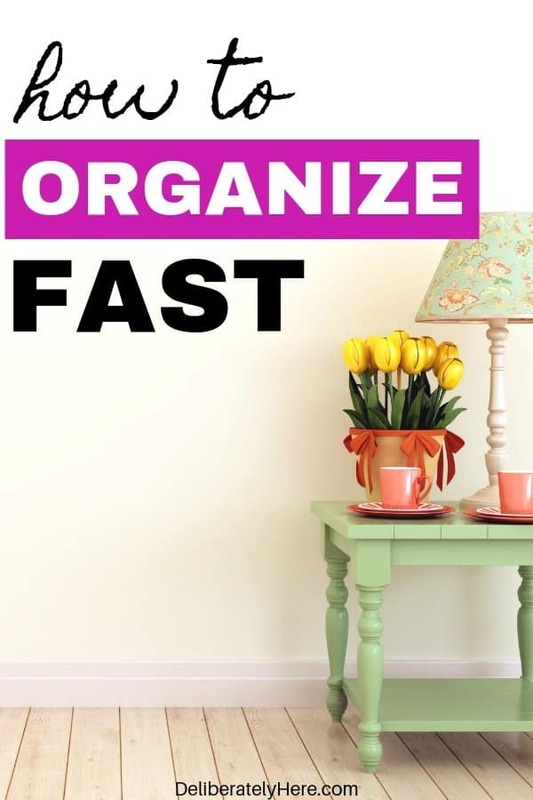 If you are still struggling with home organization, this is the course I recommend to help you take your home from a cluttered mess to peaceful and organized (you DO deserve to have peace in your house). You can get 10% off with the code DELIBERATE10 click here to learn more about organizing your home. 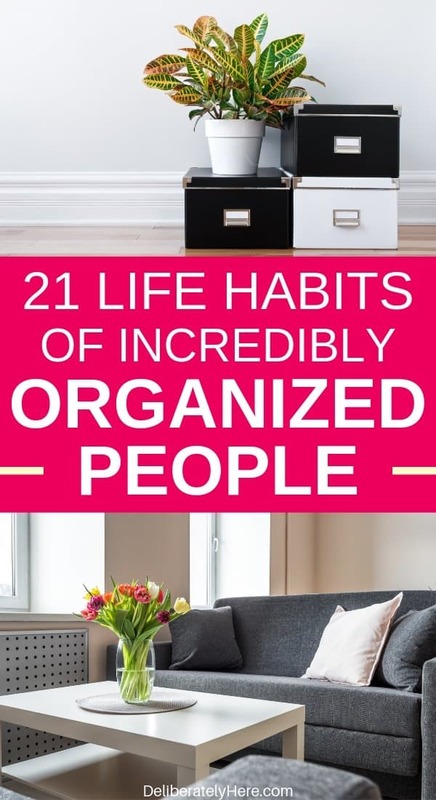 By taking a handful of these habits of extremely organized people and applying them to your life you’ll be well on your way to an extremely organized home and life (see? It’s not even hard!). If you find yourself becoming overwhelmed, implement just a couple of these strategies of organized people, then as you get comfortable with those you can slowly add more to your plate. What is your biggest struggle with organizing? 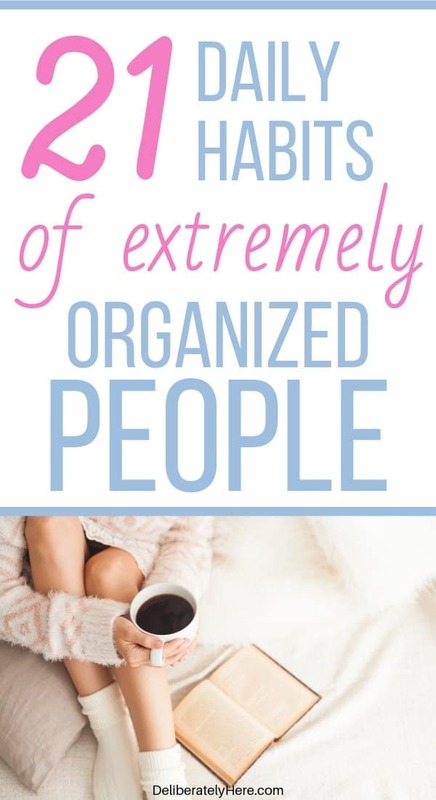 Which one of these habits of extremely organized people do you struggle the most with? I’d love to hear from you! Amy, thank you for this inspiring article. I also find that when I make lists I am so much more efficient.